Ryan and Simon Chan, and Ken and John Wong. John Wong is fully committed to the company his father Ken Wong started with his partner Simon Chan in 1997, but his involvement with K-Wood Kitchens was by no means a forgone conclusion…but let’s start at the beginning. 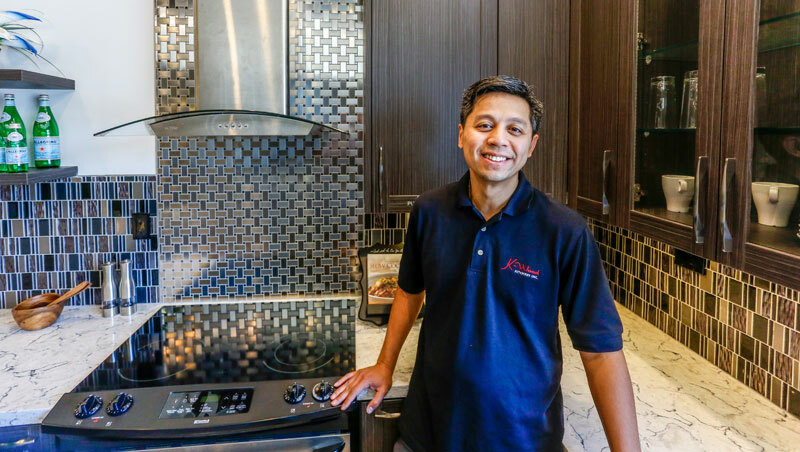 His father had been working as a contractor ever since the family came to Canada from Hong Kong in 1988, however, as John Wong says, his father was never quite satisfied with the quality of the cabinets he had to deal with. “My father never really found a cabinet company he was happy with, so he eventually decided to start his own. Wong says they rented a small, 2,000 sq. ft. space and turned it into a showroom and shop. His father focused the business on building cabinets for wholesalers and other contractors. 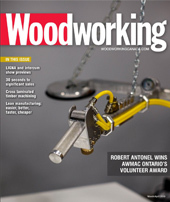 They started with the basic tools, a router and a table saw and even built their own machine to manufacture thermofoil doors. Over the years the business continued to grow and they added machinery, space and employees. 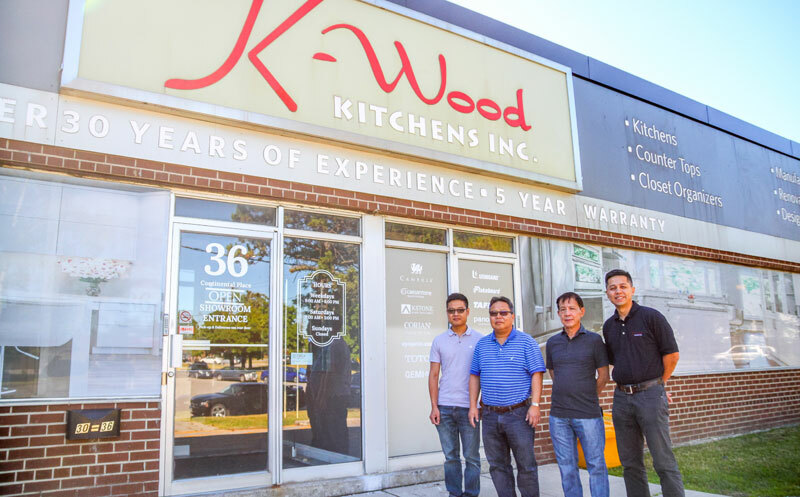 Today K-Wood Kitchens employs around 30 people and occupies roughly 28,000 sq. ft., which includes a 5,000 sq. ft. showroom and 20,000 sq. ft. shop in Scarborough. Wong says it was a real struggle for the first few years, but they continued to build the company thanks to hard work and a great partnership based on trust and respect. Co-founder Simon Wong said: “A great partnership comes from trust and respect of one another.” And that’s how the partners built their company from scratch. And since they didn’t have a manufacturing background they had to learn everything by doing. But they got there eventually and after two or three years they had a positive cash flow and never looked back. John Wong, who is a Chartered Financial Analyst (CFA) by trade, joined the company 4 ½ years ago. He said he never worked in the company before. His is not the story of the son who goes to help out after school and during summer vacations and then continues with the family business. Instead, Wong studied business and then worked on Bay Street for 12 years, commercial banking, hedge funds etc. “Five years ago my wife Kristie and I had twins and that completely shifted our priorities,” Wong says. His father had always hoped that John would want to join the company eventually, but only after an education and when he was ready and of his own volition. So when John asked his dad if there was a place for him in the company he was welcomed with open arms. “It worked out perfectly,” Wong says. And Chan’s son Ryan, who worked for the company at a young age (summers) really learned from the ground up. He also got his Business Administration degree from Laurier, and now he is working full time at K-Wood as well, heading up their installation team. Wong’s official job title is general manager, but really, he is more of a jack-of-all-trades. And as the saying goes, he had to learn to walk before he could run. “It was quite a challenge when I started,” Wong admits. “I know a lot about finance and business, but I knew nothing about this business. “MDF, what are you talking about?” he says with a smile. “So one of the first things I said to Mr. Chan when I started was that I will make lots of mistakes. “Coming in was the hardest thing I’ve ever done,” he says. He also looked at the financials, which were also undermanaged. The old shoebox trick. Well not quite, but you get the idea. “That’s part of the challenge of the job, any job really. “You have to keep an open mind, you have to be open to new things and keep up with changes, whether it’s new materials or processes,” he says. And there is still lots of room for improvement. And not that there is anything wrong with that. It is a success story after all, a successful business built from scratch with hard work and dedication. But Wong says that doesn’t mean they can’t or shouldn’t make improvements and he has been tasked to apply his particular set of skills to make the business even better. He admits it’s not always easy, after all, his father and his partner have built a successful business their way. So as the new guy with new ideas, he still needs to explain himself and show why his ideas might be worth implementing. But that’s fine, Wong says. He even hired a business coach to give him a hand. Wong says that certain aspects of the business had been undermanaged or not managed at all, and he has been working to improve that and it’s all coming together now. From meeting new people and really learning from people in the industry, both internally and externally. He’s also taken on social responsibilities such as supporting SickKids hospital and the Red Cross because he believes that at the end of the day, people helping other people is something we should all do. “We are primarily a residential cabinet shop and we are happy doing that,” he says. Wholesale still plays an important role as well, but Wong says the company has transformed from being mostly a whole seller to about a 50/50 split. “And we are also mindful now of not having all of our eggs in one basket. Companies can get in trouble if they rely on one or two really big customers if those customers get in trouble,” he says. “That happened to us once many years ago, and now we make sure we’re not exposed like that. Most of their business still comes from word of mouth and a reputation for good, honest work. 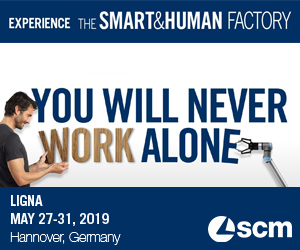 We have a great supporting team and I really want to take this opportunity to thank everyone for their past and present hard work and contribution, to continue to serve our customers. They also work with contractors and construction companies, architects and designers and Wong says even their trucks are a great marketing tool. “Usually when you are on a certain street, people there are all in a similar situation. The homes are roughly the same age, the income level will be similar and so on. So, we often get calls from neighbours and that’s where your dedication and commitment to do a good job pays off,” he says.